Pro wrestling is returning to Macon! This Sunday, January 15th, New Generation Pro Wrestling (NGPW) will be live at the Anderson Conference Center at 5171 Eisenhower Parkway for their Championship Chaos event. Doors open at 4:00 pm and the action will start at 4:30 pm. However, a VIP Ringside seat will get you in at 3:30 pm for a meet and greet. The meet and greet is a unique experience where fans will get to see the stars up close. Autographs and pictures will be available. Tickets are $10 for general admission or $12 for Ringside VIP. AIWF Champion The Jagged Edge will be part of the Main Event as New Generation Professional Wrestling comes to the Anderson Conference Center in Macon. Photo courtesy the NGPF Facebook page. Former WWE superstar and TNA wrestler, MVP will be in action. 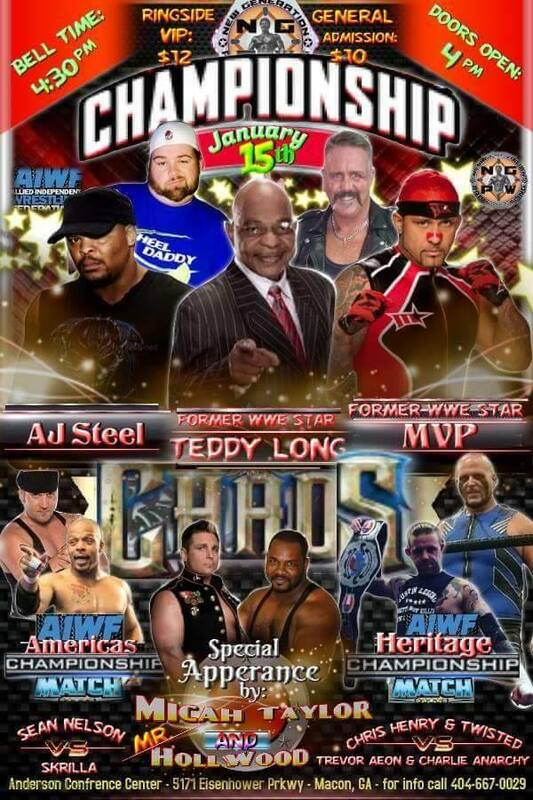 Also on hand will be former WWE star and Smackdown General Manager, Teddy Long. At the show, you will see #HeelDaddy Chris Nelms, AJ Steel, and Terry “Rocker” Lawler. 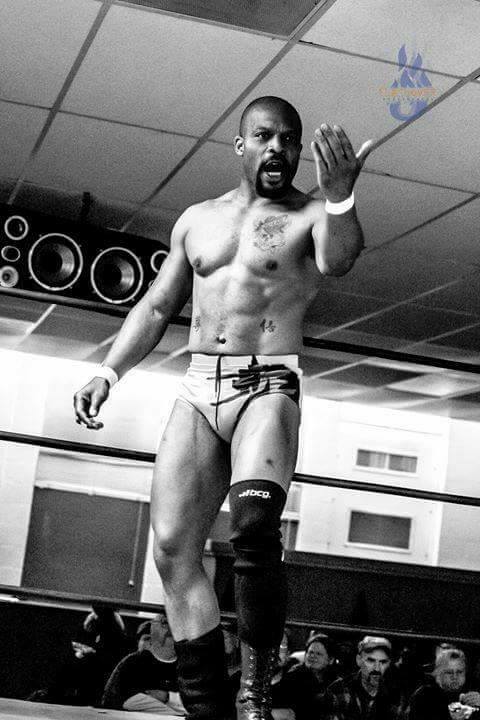 Other matches include Sean Nelson vs Skrilla, Chris Henry and Twisted vs Trevor Aeon and Charlie Anarchy with a special appearance by Micah Taylor and Mr. Hollywood. Both the AIWF Americas Championship and the AIWF Heritage Championship will be on the line! This will be a great opportunity for fans of all ages to see world class professional wrestling on an intimate level. This is sure to be a much more personal event than one of the large scale companies where you sit in the rafters to cheer on wrestlers you can barely see. Here, the action will be in your face and you will have a much greater interaction with the performers. Tickets can be purchased at the Anderson Conference Center. For more information, call 404-667-0029. Poster for the NGPW event in Macon on January 15, 2017. Tickets are $10-12 and the doors open at 4PM.